Yeoman Shield Twin Handrails Chosen for New Unit at William Harvey Hospital ..
Yeoman Shield’s Guardian Twin Handrails were installed in the new Critical Care unit at William Harvey Hospital. Chosen for its dual functionality the Twin handrail incorporates an upper handrail as support for people who require assistance and a lower robust protection rail, which guards both the handrail and the walls from marking and damage. 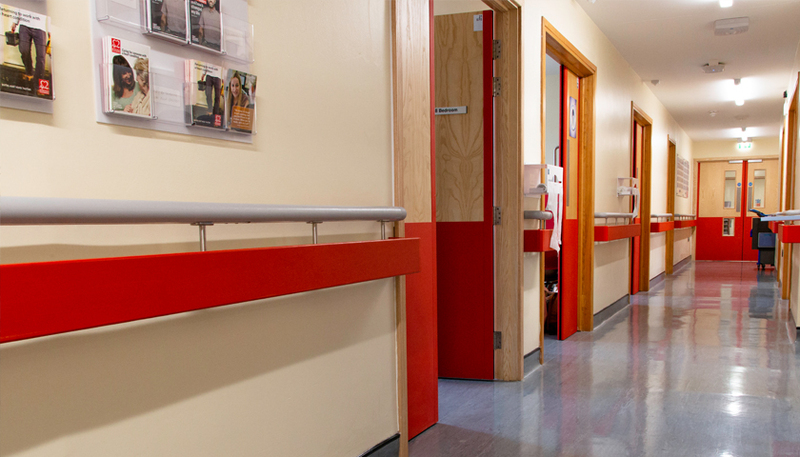 Fire doors in the unit also benefitted from the installation of Yeoman Shield’s fire rated door protection products, shielding the door from impact damage that can be detrimental to the functioning of a fire door. To find more about Twin Handrails by Yeoman Shield, please click here.